Continuing our National Crochet Month celebration, I've joined forces with Brooke, the very talented crafter behind KnotInTexas, who has generously offered to give away one of her amazing yarn bobbin systems to one of our lucky readers! Today I'm writing a quick review of a craft-themed children's book, gifted to me by a representative from Bloomsbury Publishing. The book is called Crafty Llama, and it is written by Mark Kerr and illustrated by Renata Liwska. In addition to my review, this post also includes a giveaway opportunity! Bloomsbury Publishing has generously donated another copy of Crafty Llama for me to give to one lucky reader! I've never been more proud of anything than I am of this Graphghan Boot Camp ecourse. In fact, I love this course so much that I'm giving away TWO free spots in the class! 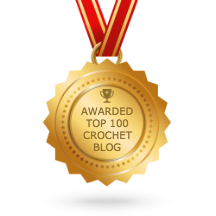 Celebrating National Crochet Month…with a Giveaway! 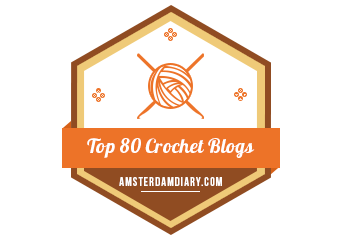 To celebrate all of the good things that March brings (but especially National Crochet Month! ), I've teamed up with the super-talented Angie from Harper Baby Shop to give one lucky follower a fantastic prize... It's everything you'll need in order to make your very own Kraken Shawl!